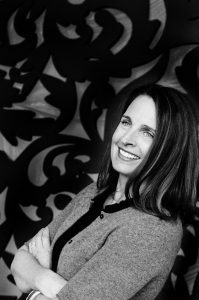 Laura is a founding partner of Pixie Dust Inc. Laura has over 20 years of industry experience working inside and consulting with advertising agencies across the country. Before starting Pixie Dust, Laura was the in-house talent scout for Fallon Worldwide. In that role, she recruited for all departments including Account Management, Creative, Broadcast Production, Interactive and Media. Laura’s advertising career initially began in Media before moving to the Account Management side. 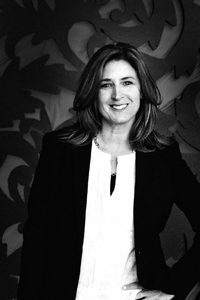 She built a career to the Senior VP level in Advertising Account Management with expertise in packaged goods and youth marketing. She worked in NY, LA and San Francisco at top agencies including Arnold and Dentsu, and boutique shop Ayzenberg. Experience managing and working on successful creative-driven agency teams gives Laura a keen eye for identifying top talent, and championing productive agency/candidate skill set and culture matches. Laura graduated from Skidmore College with a BA in English. 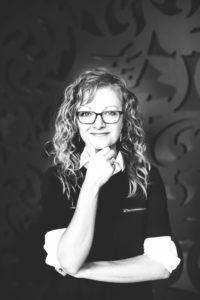 Ashley is a Founding Partner of Pixie Dust, Inc. With over 15 years working at, or alongside, leading advertising agencies and clients, Ashley knows the inner-workings of the industry. More importantly, she knows how to identify and find top talent and how to assemble high-performing teams across disciplines. She started her advertising career at Y&R New York in media. With a desire to manage and lead more holistic teams, she switched over to Account Service. In 1997, Ashley returned home to Minneapolis to join Fallon, one of the hottest strategic and creative shops. She continued to build her career, managing both existing clients and contributing to new business, including United Airlines, Holiday Inn Express, Nordstrom, Citibank, among others. A move to recruiting was a natural transition, as she has always enjoyed career mentoring and constructing collaborative teams. Ashley graduated from Duke University with a BA in History. Lisa is the most recent addition to Pixie Dust, joining the team in 2015. A majority of her career has revolved around agency operations: the inner workings of the advertising process, budgets, resource management, and hiring. After a thwarted attempt to become a scuba instructor in Mexico, she worked in Account Management before joining Fallon in 2004. In her most recent role as Director of Creative Operations, her proudest moments involved recruiting reputable creative talent to the lovely state of MN. Working alongside some of the industry’s top talent was a perfect segue into the recruiting world, providing a platform and network to find the best candidates from around the globe. She has a trained eye for identifying the right skill set, portfolio and personality to match an agency’s needs and culture. cancer patients and also works with the YWCA on fundraising and event planning. She has a BA in Journalism from Drake University.